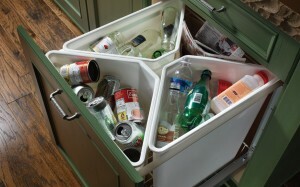 Recycling and conserving energy commence at home. If the household implements a strict recycling or energy conservation scheme, it will surely impact the society in time. The important thing is that parents should teach their children how important it is to reduce the waste and conserve energy at the same time. If you have school projects, don’t hesitate to use recycled papers. You can use both sides of the paper to maximize it. If you need to scribble few things, you can just write it instead of printing it. You can save ink and paper if you do that. If your ink cartridges are fine, don’t change it. Saving energy is the crucial part. It is now important to limit the use of some appliances because it adds to carbon emissions. If you purchase appliances, look for energy efficiency labels. If you are not using an appliance, it is better to unplug it instead of leaving it under standby mode. Switch off your lights when not in use and look for energy-efficient bulbs or the compact fluorescent bulbs. There are many ways you can save water. Start by turning off the tap when brushing the teeth. You can also consider recycling the water from bathing to flush the toilet. If you are taking a bath, avoid overdoing it. You should start sorting your garbage according to its nature- biodegradable and non-biodegradable. For biodegradable items, you can create a composting bin in the backyard. For non-biodegradable items like plastics, metals and plastics, you can donate it or exchange it for cash. Plants can improve air quality. If you have extra space in your backyard, it is better to grow plants.